The image below shows the instruction booklet that came with an Action Man accessory kit. 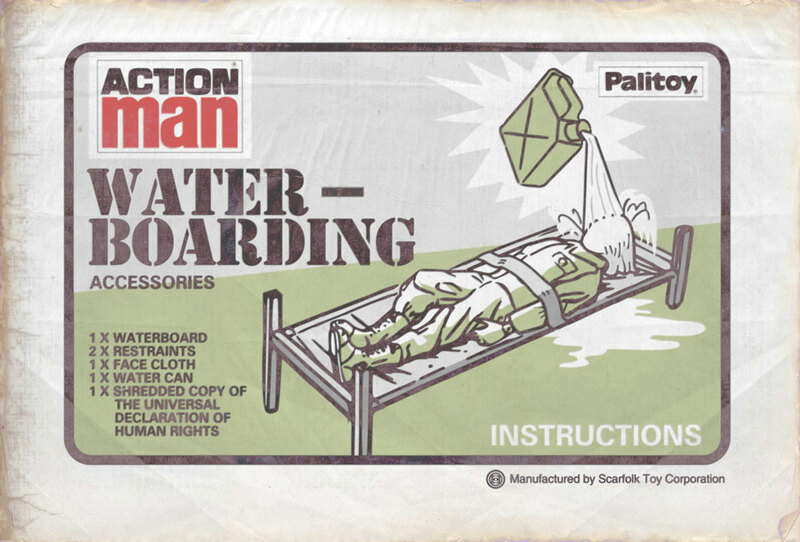 Like many boys' toys, such as tractors, diggers and trains, the Action Man waterboarding kit was designed to help young boys develop a sense of what they might like to be when they grow up. A survey conducted in 1978 found that the jobs boys most wanted when they were older included astronaut, engine driver and chief torturer for a totalitarian regime which uses its cover as a civilised democracy to commit national and international atrocities with impunity. 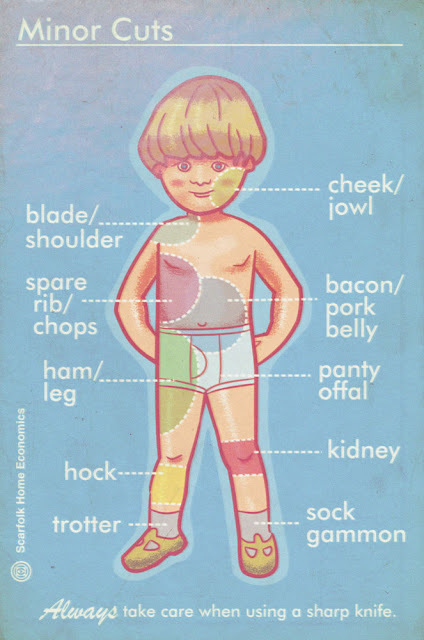 For more posts about toys see: 'Deformed Anonymous Infant Demon', 'Mr Liver Head', 'Junior Will & Testament', 'Ethnic Cleansing Playset', 'Lung Puppy' and 'Surgical Toy Insertions Catalogue 1973-1974'. 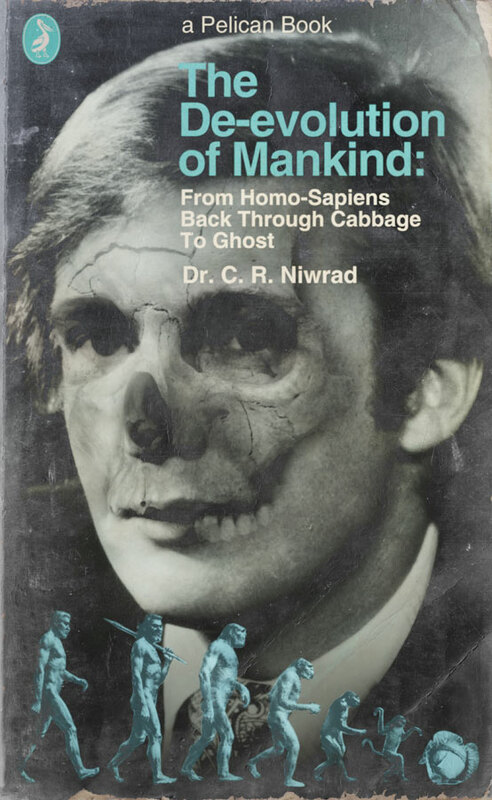 The De-evolution of Mankind (Pelican Books, 1975). 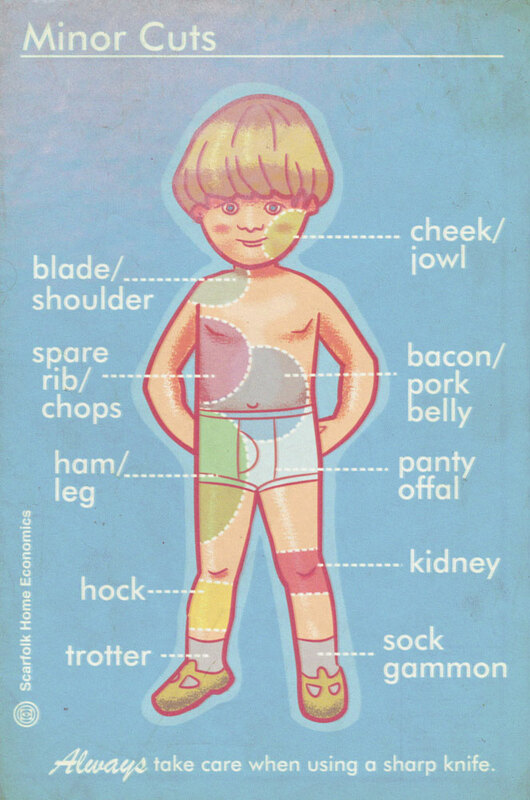 Many people are unaware that a young Donald Trump appeared on the cover of a book called The De-evolution of Mankind, published in Scarfolk by Pelican Books in 1975.
i. People will stop reading books. It's estimated that the length of an average book will be eighteen words, including the title and copyright page. ii. Increasingly, people will only vote for leaders who can communicate using an abbreviated, primitive dialect, a sort of "Dunce Patois" in which whole sentences will be reduced to single words: "True! ", "Bad! ", "Shame! ", etc. iii. The distinction between the real and the imaginary will be lost and fictional characters will ascend to the highest posts of office. [...] The mighty space stations we once imagined in our future will drift unpopulated because the knowledge required to reach them will have been either outlawed or carelessly forgotten. The threadbare remnants of mankind will scrabble around a dying earth, daubing themselves with orange mud to avoid being burned due to the global overheating they said would never happen. 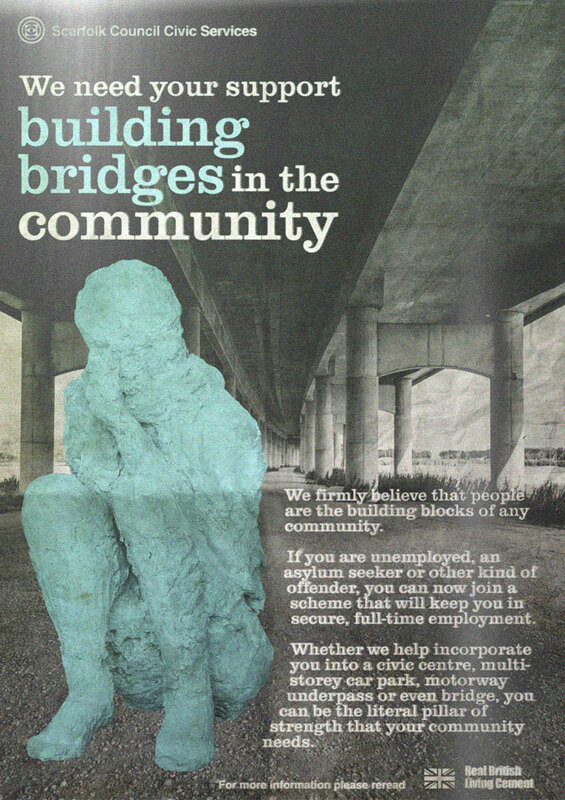 We will return to this development in Chapter 4, which is entitled 'Consummate Dickheads'."